Social Security Disability: Protecting Your Case - Harrison White, P.C. Working with health problems is a personal decision, and no one should be discouraged from working. The Social Security rules do state that you are allowed to make a small amount of money and still apply for benefits. (For 2013, that amount is $1,040 a month). However, the truth is that any amount of earnings or work activity can hurt your claim for benefits. If you are able to perform any sort of continuous work activity, then a judge is unlikely to approve your disability claim. Ongoing work activity is inconsistent with a Social Security Disability claim. When you are forced to leave work due to a disability, it is tempting to file an application for unemployment benefits to make ends meet while you wait on the disability decision. 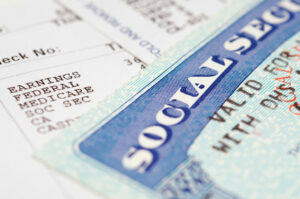 However, receiving unemployment benefits can hurt your Social Security disability claim. When you apply for unemployment, you generally must sign a statement that you are “ready, willing, and able to work”. This quickly becomes a problem for your Social Security disability claim, as you will be telling the judge the opposite: that you are not able to work. Therefore, you should avoid receiving unemployment if at all possible. Medical treatment is very important to your Social Security case. If you do not have medical treatment, then Social Security will believe that your medical problems are not serious. Even if you have to prioritize your spending differently for a while, you should try to keep a relationship with a family doctor and visit at least every 2-3 months. It is very important to continue to obtain medical records, because that will be your best evidence for the Social Security Administration that you are disabled. Even if money is tight, most communities have free or low cost medical clinics that will see patients for little or no charge. Once you do see a doctor, it is important that you do your best to do what they tell you to do. This means to take your medication, follow any treatment recommendations, and go to any other doctor appointments that they suggest. Also, you should not take any medications that are not prescribed to you. Do not take medication from a friend or family member, and do not use any kind of illegal drugs. Most Social Security judges simply will not award benefits to someone who is using illegal drugs, and this is the fastest way to lose your case. Avoiding these pitfalls can help your disability case go much more smoothly and will give you the best chance of being successful in winning your benefits. « FMLA: What Should It Mean For You?